Welcome to our website. Harmony Homecare is an independently owned provider of home care and community care support in Worsley, Atherton, Tyldesley, Mosley Common and all surrounding areas. We pride ourselves on being an independent locally run agency with over 15 years’ experience in the care sector. We provide a wide range of care and support services tailored to meet your individual needs and preferences. There is no limit to the type of support we offer, which can range from personal care, specialist care, respite care, domestic assistance to providing social companionship. We believe that the best person to plan their future is themselves which is why we actively encourage the client and their family to be fully involved in planning their own support programme. 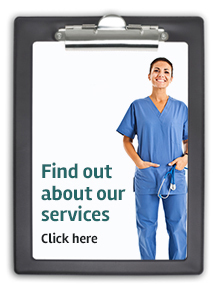 The most important element of our business are our care staff. We want our clients to feel confident that they are being supported by dedicated and competent carers. This is why we are continually investing in their training and development. All our staff are thoroughly vetted and subject to references prior to working for Harmony so you can rest assured you are in safe hands. Please take time to browse this website to see what we can offer and if you would like to discuss the ways we can help you, either in person or over the phone, please telephone us on 0161 799 1202 or fill in the contact form at the bottom of the page.